Although our hosts were way less than 100% (with one in hospital and the other under the weather), the show must go on! Our hosts Spacemob Ascent was great though, providing a lovely venue for the evening. 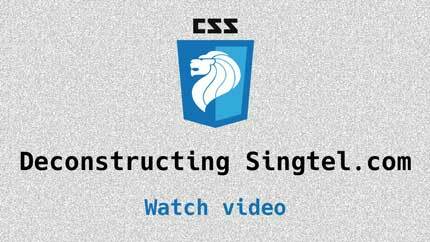 Chris goes under the hood of the Singtel.com website to see what's going on in there. Updates and news in the world of CSS for April 2017. Our regular segment. Topics covered available here.